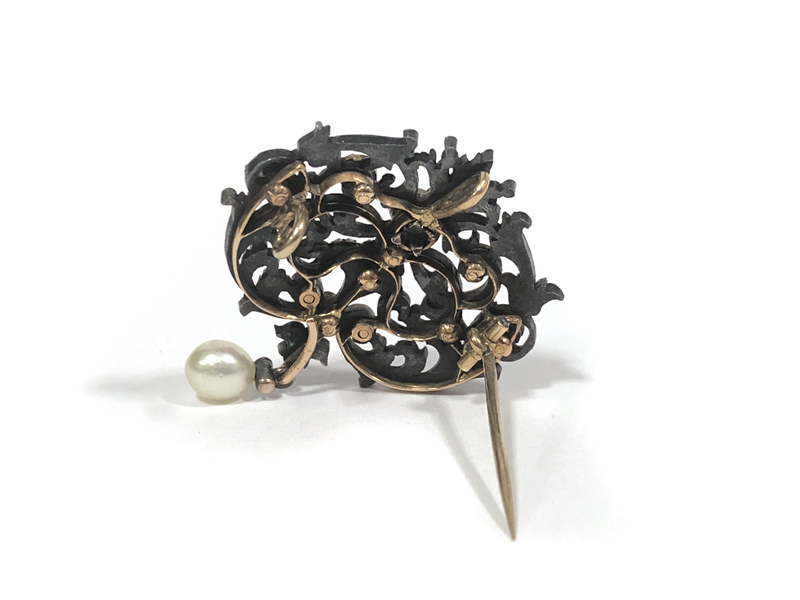 this rare neo-renaissance openwork floral brooch is made from finely engraved blued steel and set with rose and old brilliant but diamonds, suspending a drop shaped pearl, with yellow gold brooch and pedant fittings to the reverse. Attributed to Charles Arfvidson, Paris, circa 1900. Charles Arfvidson supplied Boucheron with similar blued steel jewels in the early 1900’s. A diamond and blue steel regency style necklace by Arfvidson is held in the Boucheron Collection. See Boucheron: Four Generations of a World-Renowned Jeweler, Neret, Gilles, trans. Purcell,(NY, 1988), page 35. 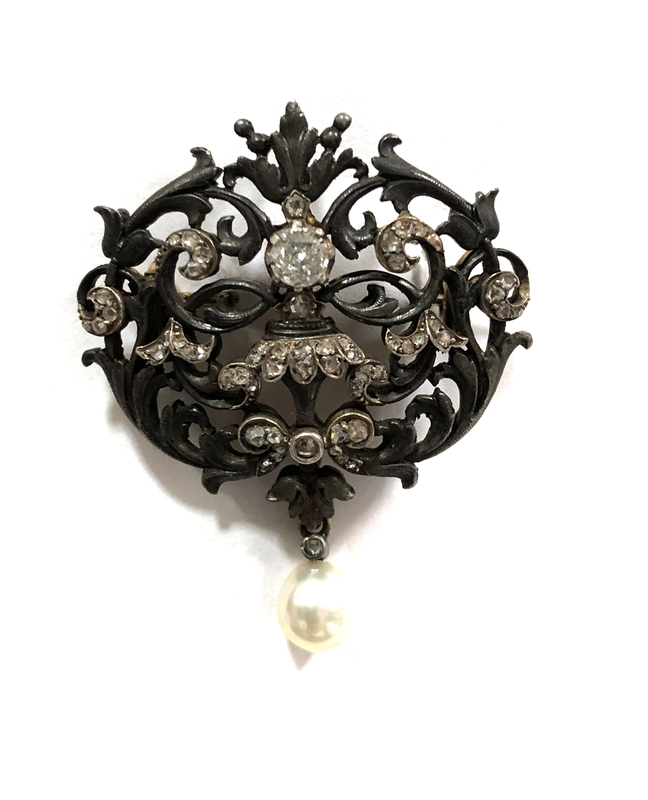 The contrasting combination of black metal and diamonds is highly effective and much copied by modern jewellers.